Do you ever wonder what happens at the old age home? Yeah, neither do I, but this story had me making the "ew" face. 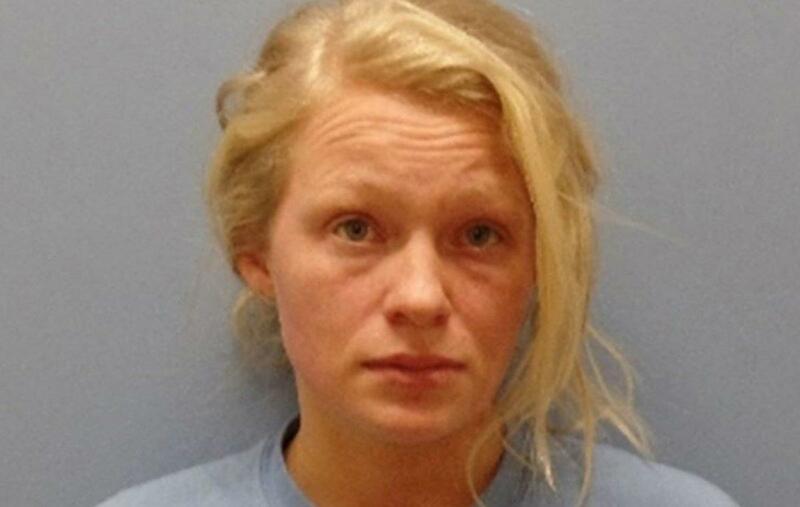 It turns out an Ohio care worker was recently arrested after a disturbing video was released showing her performing lewd acts in front of a 100-year-old man suffering from dementia. Um....Is that a crime? I mean, I feel bad for the 100-year-old man, but he won't remember it anyway, and he got a lap dance for free! Where's the crime? 26-year-old Brittany Fultz was filmed by another worker at The Commons of Providence home back in December, when she was heard on camera suggesting explicit ideas to the elderly man, touching his thigh, pulling her pants down and even straddling his leg at one point. I'm still trying to see the crime. Hey, if this old guy can still get it up without the help of Viagra at his age, why not let him have a little fun? Am I the only one not seeing a crime here? Fultz can be heard telling the debilitating senior, "I can show you new things, I can show you new things, I won't tell if you won't. I'm a girl....you know what that means." She also asked him, "You going to buy me some?" I'm not sure what that meant, but I still don't see the crime unless the guy had a heart attack and died because of her lap dance advances. Sandusky Police Detective Anthony Bath told one news source that the young woman was "basically harassing" the nursing home resident, who officials trusted to stay in her care. Bath said, "It's disturbing...She is touching him. This was not something he wanted." How the hell would he know what the old man wanted? Was he fighting her off? Did her tell her "no"? I watched the video and I did not hear him fight her off once. Nursing home authorities said they immediately called police when they got a hold of the upsetting footage. Fultz was arrested on Friday and booked at the Eerie County Jail and released later that day. She faces a charge of gross sexual imposition, and the possibility of other charges. She is currently free on bond. I still don't see the crime here. I feel that the authorities are reaching. She wasn't harassing the old man. She was just trying to show him a good time privately. Unfortunately, for her, a co-worker videotaped it and showed it to the wrong people. If anything at all, she should have been fired. I don't think that any criminal charges should be filed just because the man was old and had dementia. Like I said, he wouldn't even remember it! Too insensitive?